When we say “sustainability,” the first thing you think about is how we bury our dead, right? Ok, we rarely think about it either, but by the end of this episode we think you’ll agree that green burial has a significant environmental impact. We also hope the episode spurs conversations with your loved ones about your (and their) end of life wishes. The perfect guest joins us to chat about this interesting topic - Elizabeth Fournier, also known as “The Green Reaper.” With a nickname like that, we knew that she could keep up with our bad jokes. Enjoy this lively episode about green burial! Where can green burial be done? You’ll see that burial actually has a large environmental footprint, and we also hope that hearing this episode will encourage more people to discuss what they want for the end of their life. Consider this. While more than nine in ten Americans think it’s important to talk about their own and their loved one’s wishes for end-of-life, less than three in ten have actually had these sort of discussions. We think this episode will give you a lot to discuss. Green burial is a way of caring for our dead with the least possible environmental impact. It is a set of body preparations and burial practices that allow a body to decompose naturally in a site specifically set aside for this type of environmentally sound burial. All aspects of green burial are meant to be as organic as possible and only things that replenish the soil are used. How is this done? First, don’t fill the body with embalming chemicals. Embalming is where the human body is treated to prevent decomposition. It’s needed if burial does not occur within 24 hours after death. In modern times, embalming involves treating the body with chemicals. One such chemical is formaldehyde, a likely carcinogen hazardous to the environment as well as the embalmer. As noted in the Federal Trade Commission Funeral Rule, requires funeral providers to disclose that no state requires embalming for every death. There are alternatives to typical embalming chemicals if you want to preserve the body: there are “green embalming” fluids made from biodegradable, plant-based extracts. You can also use refrigeration and dried ice. Third, don’t use a burial vault or grave liner. A burial vault is a container made from concrete or polypropylene that surrounds the casket for maximum preservation and to prevent the grave from collapsing over time. A green burial is all about allowing the body to naturally return to the earth at the fastest rate possible. Not using a vault allows the process of returning to the earth to happen much more quickly. Along those lines, is our fourth aspect of green burial--place the body in the earth without vaults or non-biodegradable caskets. Typical caskets today are not made to be biodegradable; they’re designed for preservation. The metal, lacquer, and toxic glue found in many caskets are not good for the environment. If you want a casket and a green burial, go with a basic wooden one or one made from natural materials like bamboo or banana leaves. You actually don’t even need a casket at all. You could be wrapped in a favorite non-bleached or dyed cloth, blanket, or tapestry. There are several types of commercially made burial shrouds and wraps as well. When you look back, green burial is not new. For most of human history, when the vast majority of people buried their dead, the body was bathed, wrapped in a shroud, maybe placed in a simple wooden box, and then the person was placed into a hole in the earth and then covered with dirt. For example, Jesus was laid to rest in a shroud without embalming or a burial vault. Fun fact. Embalming became more widespread during the civil war when so many soldiers were killed that they couldn’t be disposed of in a timely fashion. So thousands of bodies were embalmed and those families that could afford had them shipped home. About 50 million people pass away each year, which includes about 3 million in the United States. All of these people typically opt for burial or cremation. Put another way, each year we bury enough embalming fluid to fill eight Olympic-sized swimming pools, enough metal to build the Golden gate Bridge, and enough reinforced concrete to build a two-lane highway from New York to Detroit. Plus there’s the many gallons of pesticides used to keep the graveyard green above ground. We looked for an overall number, couldn’t find it, but we did find a study of town in Cape Cod where just one town reported using 2,600 lbs per year in a single cemetery. Let’s talk emissions. One source is the methane that comes from bodies decomposing anaerobically (i.e., without oxygen) post-burial after being preserved with embalming fluid. Another source is during the construction of traditional caskets and grave liners. One of the biggest sources though is cremation, so let’s talk about it. This is where the body is burned into ashes as opposed to being buried whole. More and more people are opting for cremation. Only 10% in the U.S. opted for it in 1980. Today, about 49% choose cremation versus 45% choose traditional burial. This is because it’s cheaper (about 50% less than modern burial), requires little planning, and makes the remains portable. Cremation may seem like a green alternative since no space is taken up in the ground, but it is not. For one, consider the energy use. Cremation ovens use fossil fuels and must maintain a temperature of 1,800 degrees Fahrenheit for more than two hours, which burns a lot of fuel. Cremation also emits mercury and other heavy metals. All told, cremation accounts for 0.2% of annual greenhouse gas emissions. Cremation ashes are also not green. Their composition depends on the heavy metals and chemicals the person was exposed to over time. They do not contain carbon and nitrogen, which prevents them from acting like fertilizer. They also often do not decompose readily. These are the reasons why it’s recommended that you incorporate ashes lightly into the soil. It’s also why most states require human cremains scattered at sea are at least three miles off the coastline. There are green cremation alternatives. One is being cremated in an open-air funeral pyre (think of the Game of Thrones scene where they create a wooden structure to cremate the body of Khal Drogo). These pyres are more carbon neutral because they burn wood, not gas or propane. Another is alkaline hydrolysis. It uses heat, a chemical called lye, and water to dissolve or break down a human body into liquid and some remaining bone. This is something akin to the way Walter White and Jesse Pinkman decompose a body in a bathtub in Breaking Bad. Alakaline hydrolosis is more expensive than traditional cremation, but its emission are just 10 to 15 percent of cremation’s. As of early 2018, twelve US states consider alkaline hydrolysis a legal form of body disposition. There are cemeteries that allow for it. Some are hybrid or low-impact green cemeteries. These are traditional cemetaries that accommodate green burial practices such as not using a vault or casket liner and do not require the embalming of decedents. Other cemeteries are devoted to green burial. As of 2017, the U.S. had at least 153 official green cemeteries. These green cemeteries tend to prohibit embalming with toxic chemicals, ban burial containers not made from natural/plant-derived materials, use sustainable landscaping with native plants, prohibit the use vaults, etc. Some even go a step further and have conservation easements on the land or take other action to protect the land in perpetuity for conservation. Besides cemeteries, you could also do a backyard burial where the person is buried on residential property or land that is privately owned. Laws on this vary by state and county. It’s usually accepted and typical in rural settings. Even if legally allowed, one has to consider the impact on future sale of the property as it is the responsibility of the property owner to disclose if human remains are buried anywhere on the land. You could also have a green burial at sea. The U.S. EPA regulates burials at sea. It must be done three miles offshore with a depth of 600 feet and you must ensure the remains sink to the bottom rapidly and permanently. You also must notify EPA within 30 days of burial. But anyone can do it! Dryer lint urns. She explains in her book how you can make biodegradable, free urns using dryer lint, warm water, and flour. Confused? Type in dryer lint urn into google and you’ll see Elizabeth’s blog post about it. Eternal reefs. This non-profit takes human ashes and mixes them with cement to create “reef balls” that are sunk offshore and become artificial reefs for fish and other marine life. Bio urns. This is a biodegradable urn that contains the seed or sapling of a tree. Customers choose a tree (ideally one that is native to the area and will thrive) and eventually your loved one’s ashes will be marked by the tree. Recomposition. Recompose is a public-benefit corporation that is developing a process that gently converts human remains into soil. The body would be placed on wood chips and straw and over the course of a month, the bodies and wood chips decompose and turn into soil. The plan is to have such a composting facility in Seattle by 2023. Freeze-dried cadavers. A company called Promessa is testing a process involving liquid nitrogen. It would remove the water from the body, effectively freeze-drying it, and then vibrations disintegrate the body into fine particles. These particles are put into a biodgegradable coffin, buried in a shallow grave, and one year later the remains become compost or nutrient-rich soil. Vertical burials. In Australia and other places, some cemeteries have started offering cylindrical holes where the body is placed in a feet-first position allowing for twice as many burial spaces as a typical cemetery. If you’re looking for a listing of green cemeteries, check out the Natural EndMap at www.naturalend.com. It’s an online directory of natural funeral service providers, end-of-life assistants, home funeral guides, and cemeteries that offer natural funerals and burial services. Visit the Green Burial Council website’s provider page for a list of parlors nationwide that have packages for green burial services. Even if you are doing a backyard burial, funeral homes may still be helpful for certain things like filing the death certificate and having a fridge large enough for the body. And check out the main source material for these intro notes, Elizabeth Fournier’s The Green Burial Guidebook. Elizabeth is the owner and operator of Cornerstone Funeral Services in Boring, Oregon, the first green funeral home in the Portland metropolitan area. 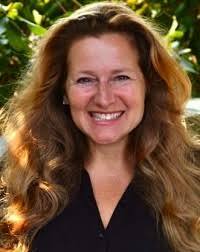 She is a member of the international board of directors for North America Natural Burial and of the advisory board for the Green Burial Council, the environmental certification organization setting the standards for green burial in North America. She is also known as The Green Reaper, possibly the greatest professional nickname out there.